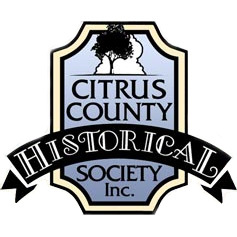 Join and Support Citrus County Historical Society Become a Member - Citrus County Historical Society, Inc.
Benefits of membership include a subscription to the “At Home” Newsletter, discounts at the Museum Store, and other items depending upon the membership level and planned events. 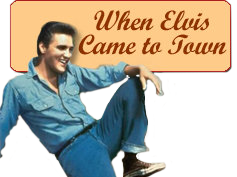 Please click here to purchase a membership online. Ruth Levins, who writes the ‘Volunteer’ column for the Citrus County Chronicle said it best: “Observe any volunteer and you’ll see the ‘plus factor’ at work – the achievement level that Norman Vincent Peale describes as ‘that little extra that makes us a winner’”. You are invited to experience this unique opportunity - volunteering at the Old Courthouse Museum, Historical Society, and the Coastal Heritage Museum or at one of our many special community events. Volunteer commitment is well worth the rich reward of providing service in the community. Assist in the Society Office with membership, public relations, events, etc. Or assist Acquisitions with various short and long-term projects. Skills needed are generally clerical and administrative in nature. Some projects will utilize specialized skills. Hours are flexible and are determined by each project. Contact the Society Office at 352-341-6427. Volunteer Sales Assistants handle all sales transactions, restock inventory, and do daily light housekeeping to maintain appearance of the store. Skills needed are ability to work with cash register (training provided), good communication skills and a desire to work with the public. Hours are one 4 hour shift, Monday through Saturday. Docents are trained by our Coordinator of Education to do tours for visitors and answer any questions that visitors might ask. Special Events volunteers assist with special events in positions such as: usher and host/hostess, booth attendants, ticket takers, or become involved on a committee for the Heritage Ball or Annual Wine Tasting. 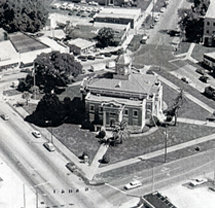 You can give to the Citrus County Historical Society by being a Donor or Benefactor. You will also get your name put on the wall for Donors and Benefactors for your contribution. To view/print the above PDFs, you will need Adobe Acrobat Reader installed on your computer. Most computers come with this program pre-installed. However, if you cannot view the links above, please click here to download and install the latest version of Acrobat Reader.